Do you know how often to change your filters? WE DO! Our yearly maintenance plans will save you time and money. Many times a seemingly big problem can be solved by simply correctly replacing a filter. Our diagnostic service call is a $60 fee. Our team will promptly provide you with a diagnosis of your problem. We will save you unnecessary costs by providing you with various solutions to fix your equipment. If replacement is necessary we will offer good, better, and the best options to work with in your budget and needs. Our highly trained and reliable team members have had experience repairing many manufactured brands of heating equipment. MJ will provide you with upfront pricing and options before any work is to be completed. MJ is a independent contractor we serve and replace all brands of equipment. Our team will recommend what would best serve your home and situation. 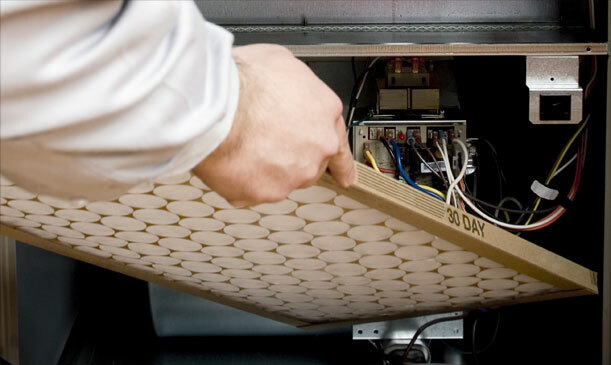 Do you know how often to change your filters? WE DO! Our yearly maintenance plans will save you time and money. Many times a seemingly big problem can be solved by simply correctly replacing a filter. Annual maintenance is very important to help your system run at its highest efficiency and be more cost effective.